With rainfall totals below average in southern California, April is the time to plant smart while saving water in spring and summer. Add Mulch To Reduce Water Usage: The cost of water is on the rise and watering restrictions are still in place. Adding mulch to your yard can mean significant water savings. 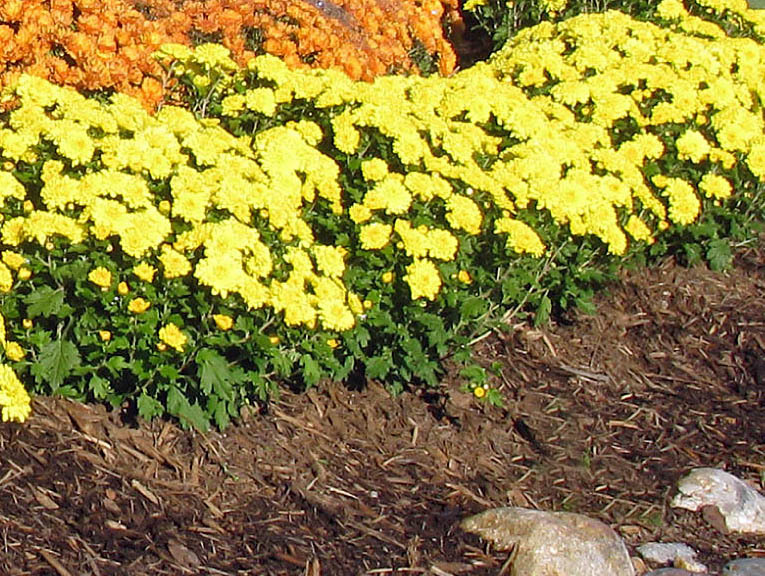 Depending on weather conditions, mulch can extend the period between watering by one to two days. Mulch holds in moisture, prevents erosion and keeps the soil cool. Till older mulch into the soil and add another two to three inches of new mulch around plants, shrubs and trees. Plant Drought Tolerant Herbs: Some types of herbs do very well with little water. Herbs that thrive in dry conditions include sage, rosemary, lavender, oregano and thyme. All these herbs come from the Mediterranean region. Once their roots are established during the first growing season, they require minimal watering and love full sun. Add Water-Saving Compost to Lawns: New lawn-related products on the market contain biochar, which enable more time between lawn waterings. Biochar is a naturally-produced soil amendment. Its tiny pores retain water, much like a sponge. Biochar also contains nutrients to help the soil and plants to remain healthy. As another advantage, biochar captures carbon emissions, which reduces greenhouse gasses. Cover Bare Spots With Bark: Spruce up bare spots around lawns and gardens with bark. Chopped bark, usually 1/4" to 3" in size, can be placed in large open areas to give a yard a finished look--and requires no water. Upgrade Your Garden Soil: Garden soil should be replenished with nutrients before new planting. First, break up hard soil and add organic soil amendments. Next, consider rotating your garden--for example, plant tomato where corn was grown last year. By rotating vegetables of the same plant family to a new location, you can better prevent crop-specific pests and diseases from reappearing. Plant Heat-Loving Vegetables: Now is the time to plant most all vegetables, especially warm-season vegetables such as Armenian cucumber, artichoke, corn, cucumber, eggplant, melon, peppers, potatoes, squash, sunflowers, sweet potatoes, tomatoes and zucchini. Use a Drip Irrigation System: Avoid using sprinklers or other overhead watering because when doing so, much of the water evaporates. Install a drip irrigation system so water goes directly to the plant’s roots. Water the garden in the early morning before 7:00 a.m., giving water time to soak deep into the soil before the heat of the day.